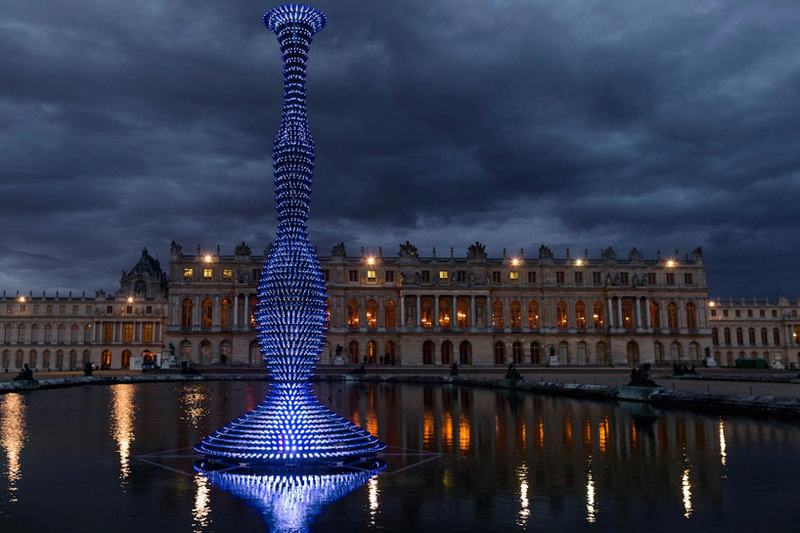 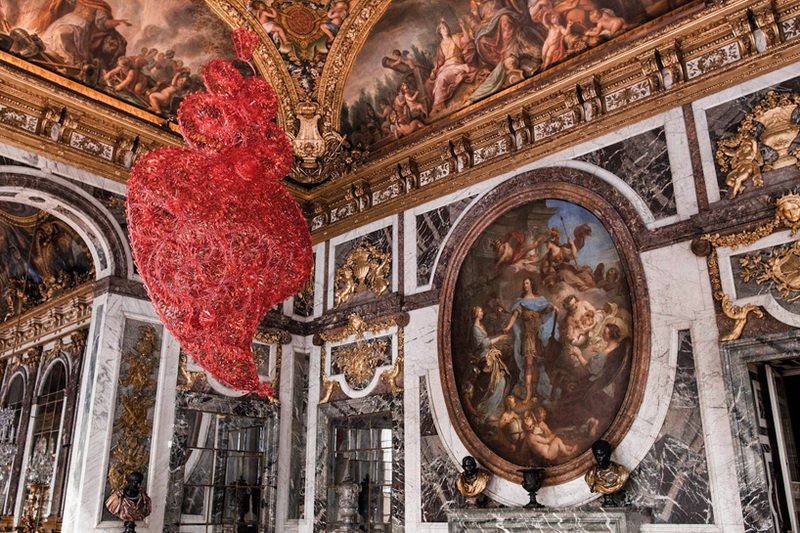 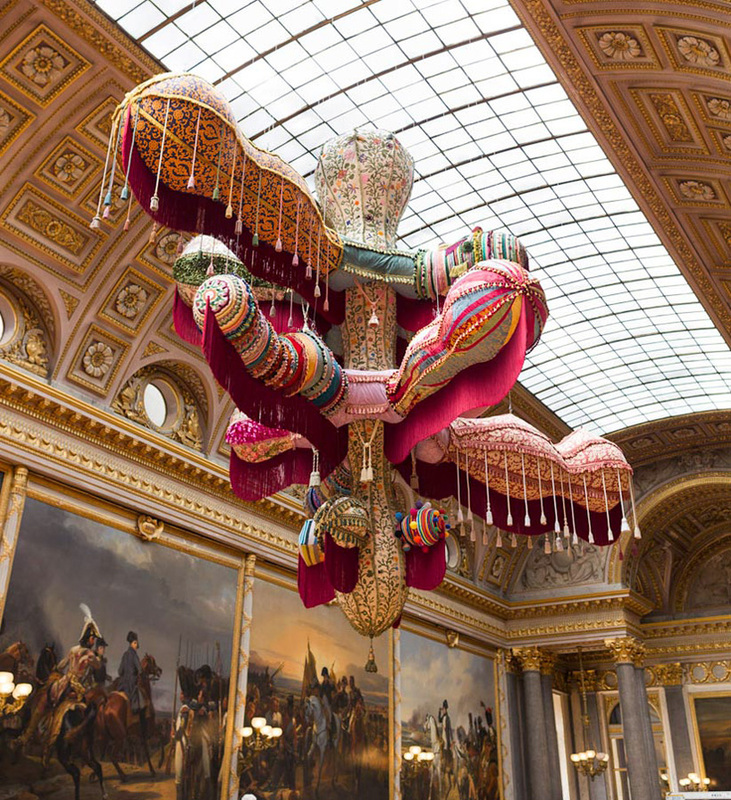 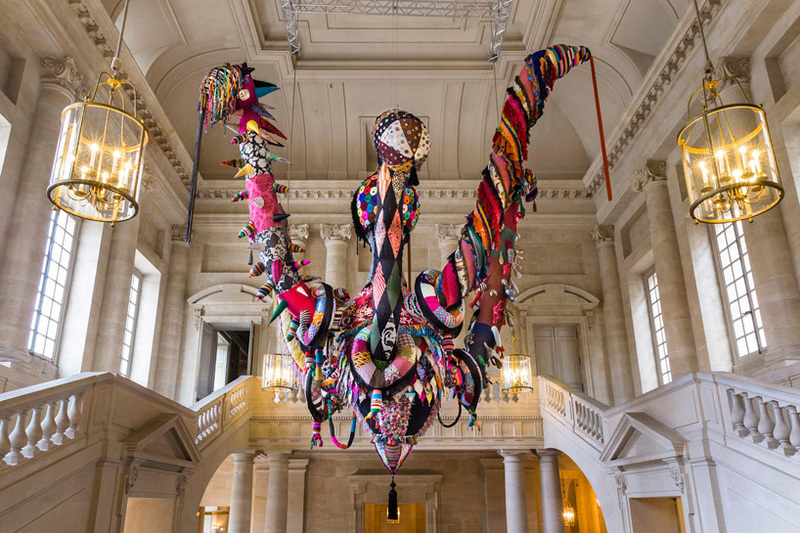 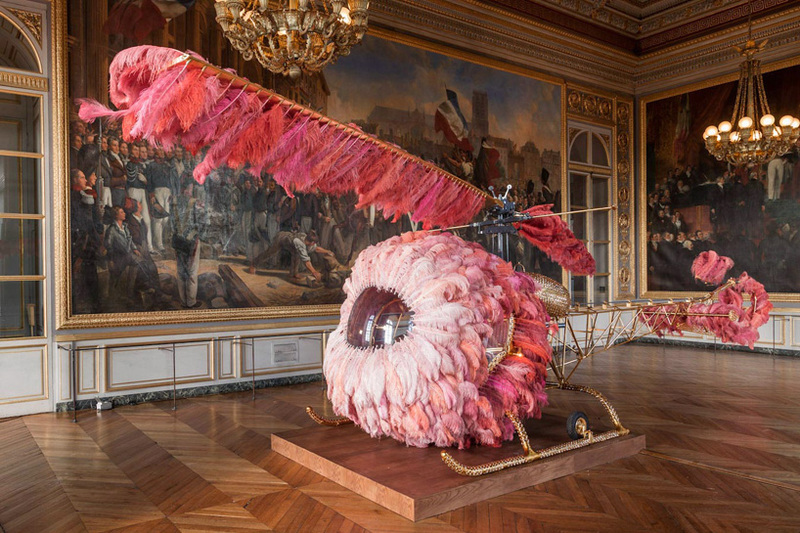 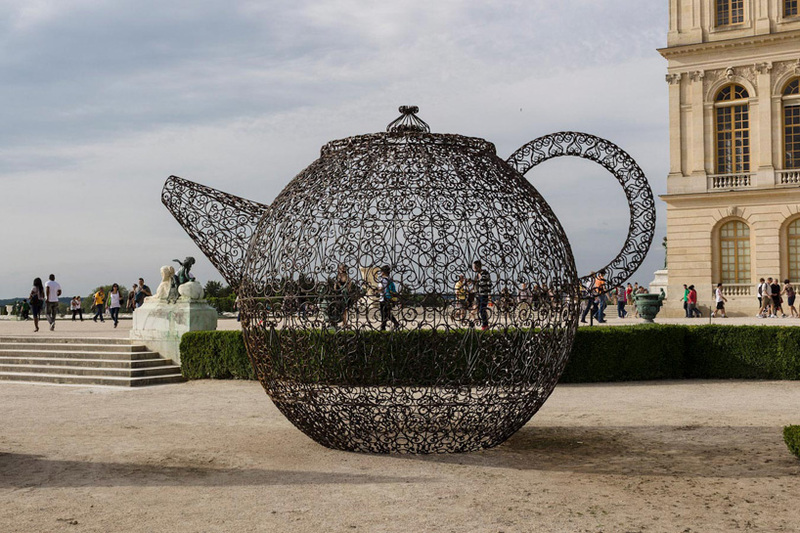 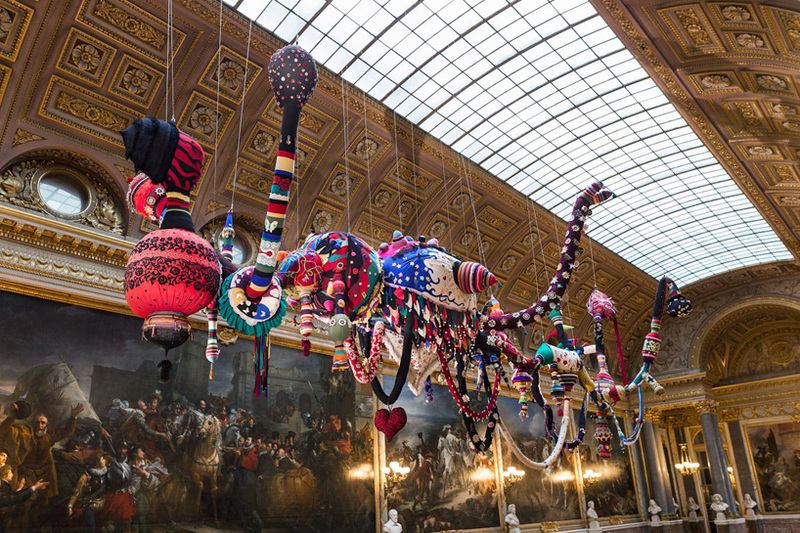 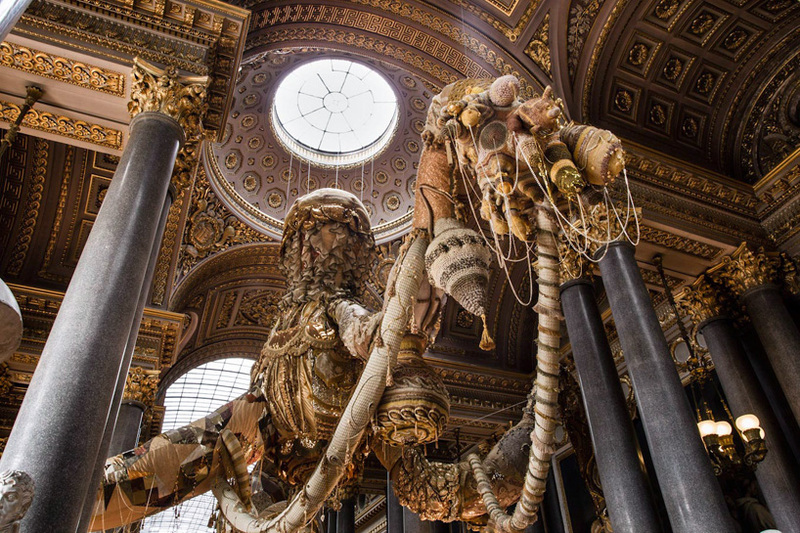 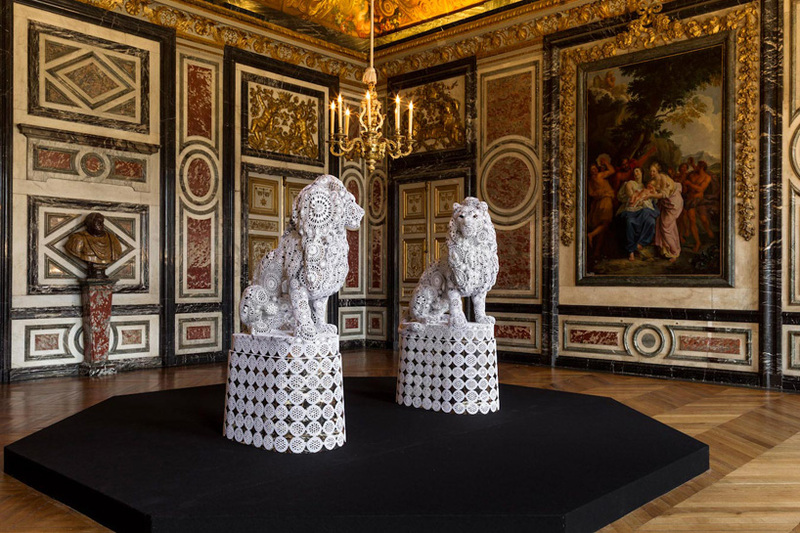 Paris-born lisbon-based artist joana vasconcelos is currently taking over the palace of versailles in france with her large sculptural works as part of the château's annual contemporary art exhibition. 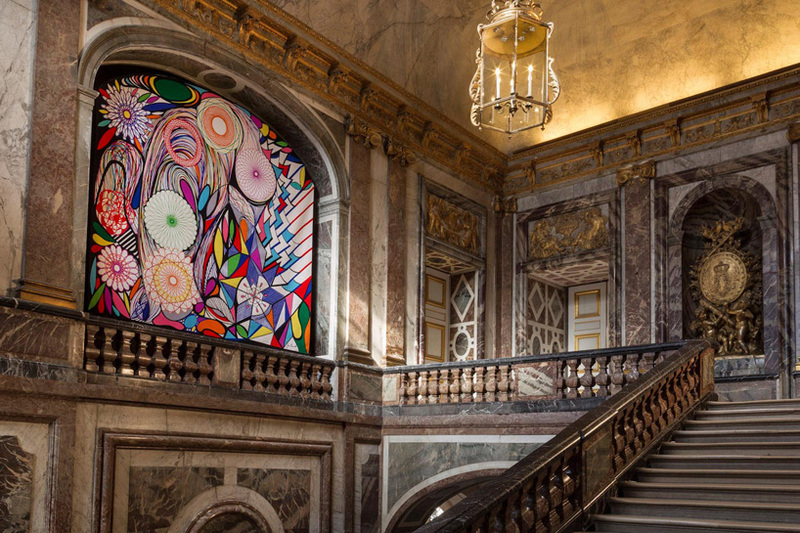 Installed within the state apartments and gardens of the expansive property, vasconcelos' work creates a dialogue dealing with contemporary idiosyncrasies, where the dichotomies of hand-crafted / industrial, private / public, tradition / modernity and popular culture / erudite culture are imbued with affinities apt to renovate the usual fluxes of signification which are characteristic of contemporaneity.
' 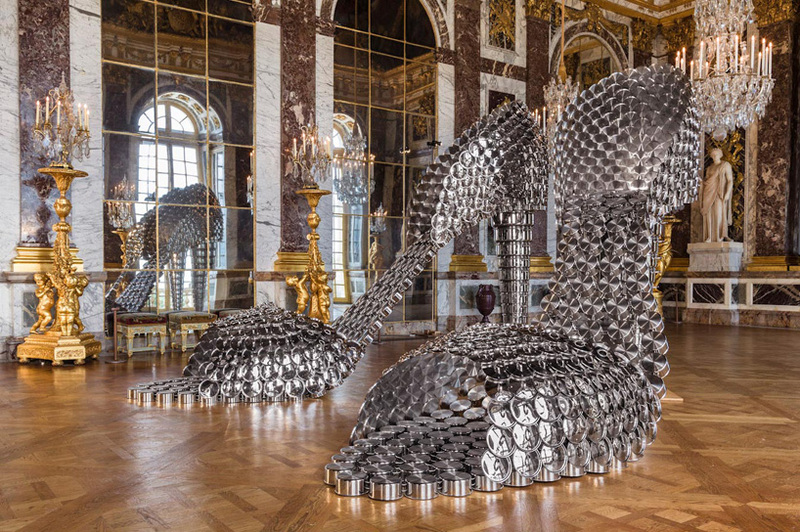 My work has developed around the idea that the world is an opera, and versailles embodies the operatic and aesthetic ideal that inspires me. 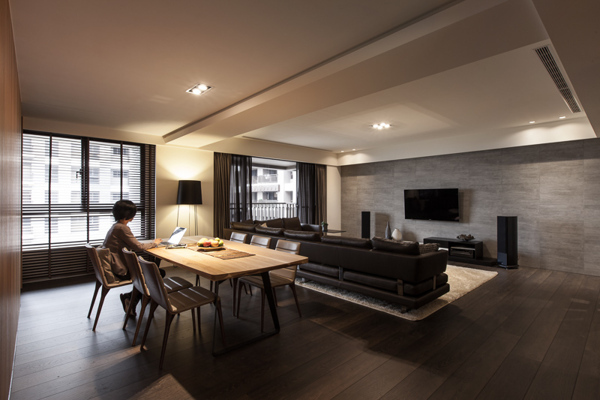 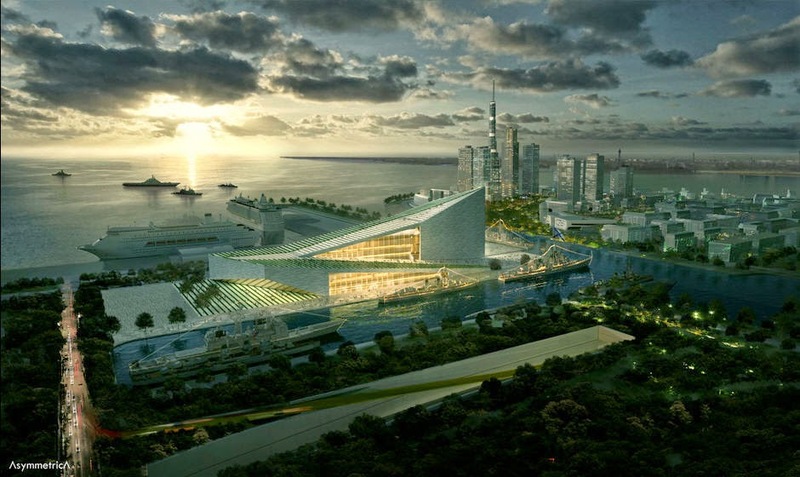 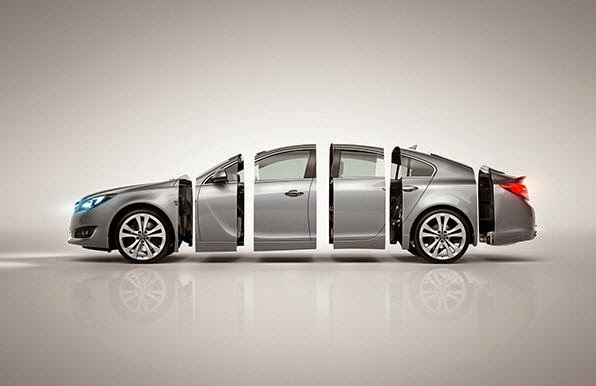 the works that I propose exist for this place. 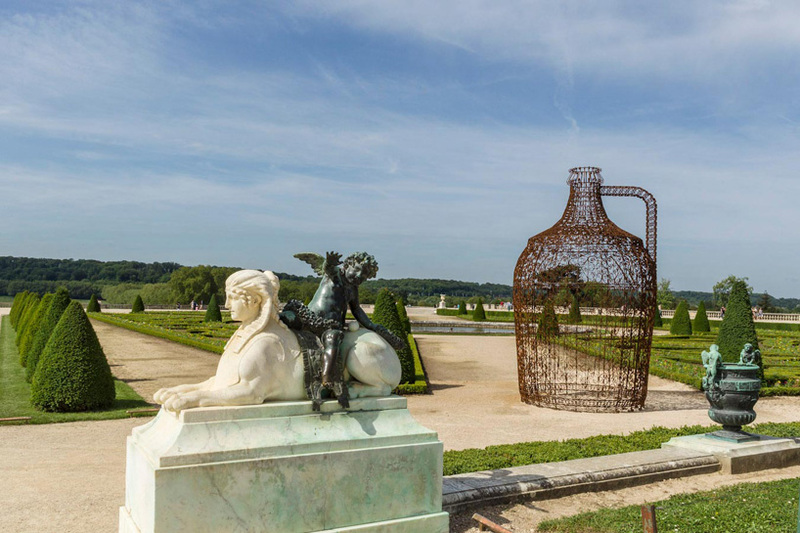 I see them as linked to versailles in a timeless way. 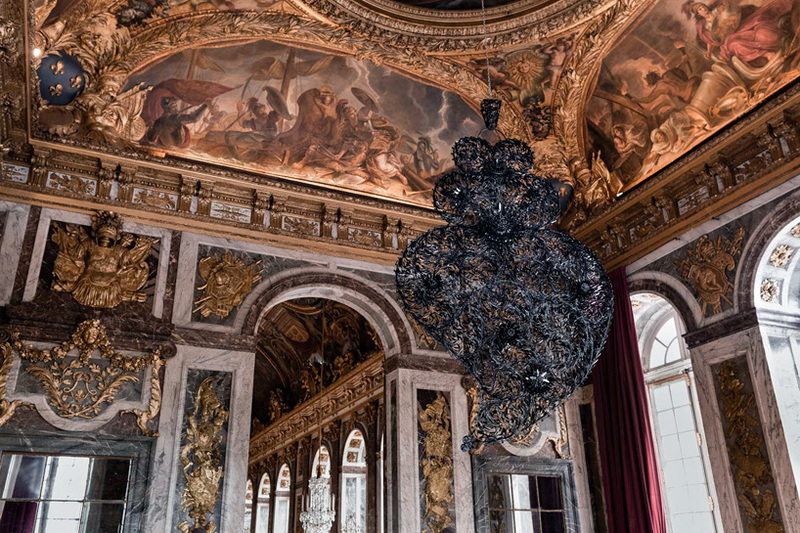 when I stroll through the rooms of the palace and its gardens, I feel the energy of a setting that gravitates between reality and dreams, the everyday and magic, the festive and the tragic. 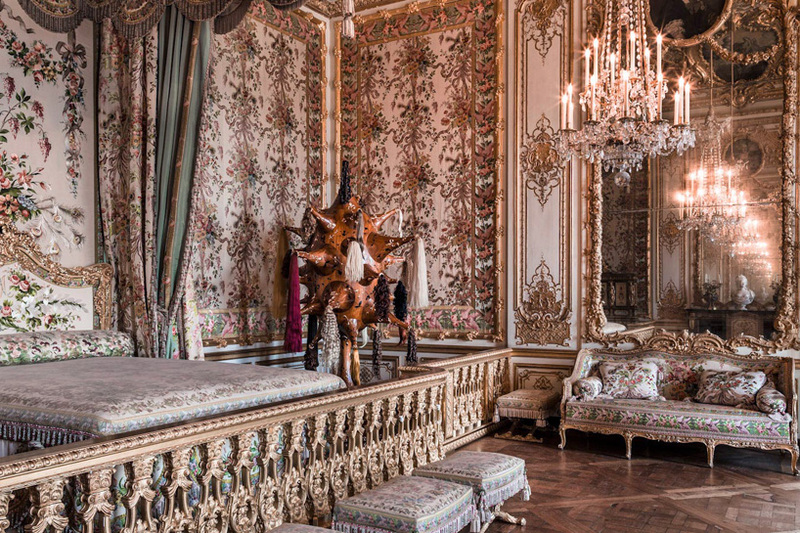 I can still hear the echo of the footsteps of marie-antoinette, and the music and festive ambiance of the stately rooms. 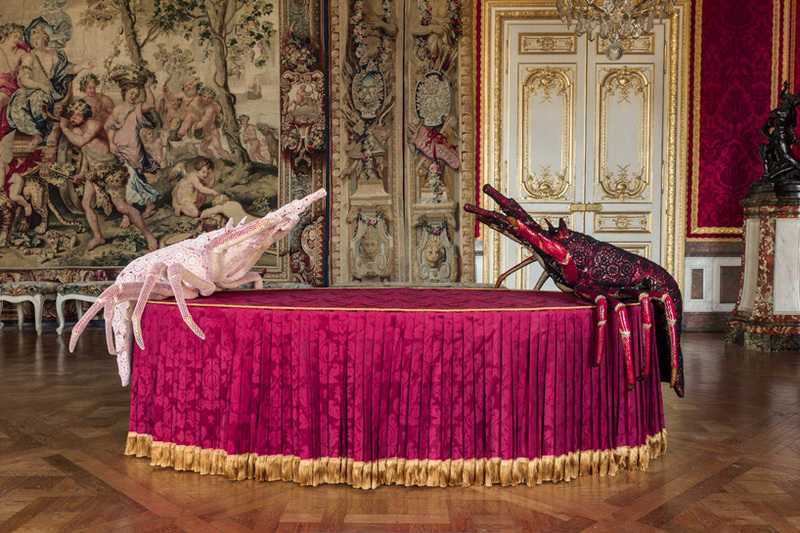 how would the life of versailles look if this exuberant and grandiose universe was transferred to our period?